No one knows exactly what caused Timothy’s foot to become infected and turn black, but within two weeks, he went from being a happy, active, 2nd grade boy to an amputee with seemingly no future. At first, doctors had tried to save Timothy’s leg by amputating below the knee. But as the disease continued to spread, they had no choice but to perform an above-knee amputation. This tragedy cost Timothy his active lifestyle, one year of schooling, and life with his family who, after a year, sent him to a boarding school for disabled children. Timothy was given a wooden peg leg to walk on, but it was so heavy that it severely limited his mobility. Since the leg did not bend, he could only ride in the front seat of public transportation and walk short distances. His family and community thought there was no hope for his future. That all changed in 2007 when Timothy received his first LIMBS Prosthesis. The polycentric features of the knee allowed him to not only to ride in any seat of a car, but to also to behave like a normal boy his age. For the first time since his amputation, he could do anything he wanted: play soccer, run, walk to and from his rural home, and so much more. Others were amazed by how normally he walked with his new leg. 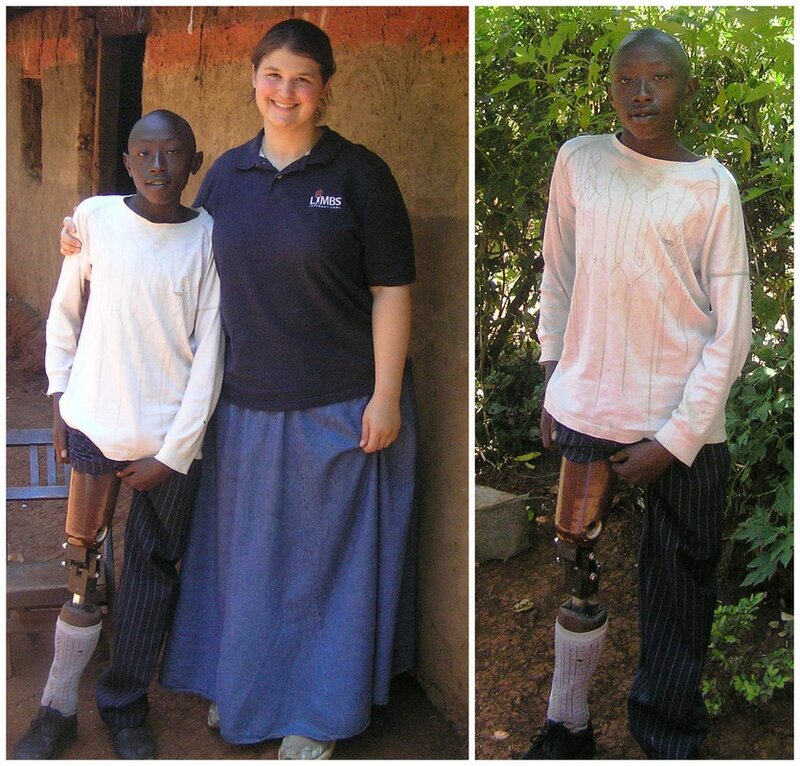 Since he was still a growing boy, Timothy completely outgrew his prosthesis within two years. In 2009, at the persuasion of the physiotherapists at his school, Timothy did not return to CURE for another LIMBS leg, but instead went to another hospital for a new prosthesis. The hospital replaced his LIMBS knee with another knee which was much less stable. After a year, the limb was unusable and he spent his entire 8th Grade year without a leg. Finally, in July 2011, Timothy was fitted with a new LIMBS Prosthesis. Now he is able to once again run, climb trees, play soccer, and work. Since schooling is only government-sponsored through 8th grade, Timothy is working to raise money for secondary school. One day, he hopes to be become a business man.